Zetsche: Renault-Nissan tie-up on compact cars possible. MUNICH (Reuters) -- Daimler is open to broadening its cooperation with partners Renault and Nissan to include other car segments and to new projects with electric carmaker Tesla Motors, CEO Dieter Zetsche said. Zetsche said his company's tie-up with Renault for the new-generation Renault Twingo and Smart minicars could be widened. The partnership does not have to be limited to one product and one segment. "Others could be possible," including compact cars, he said. Zetsche also spoke of the potential for working with Nissan's premium brand Infiniti. "In relation to Infiniti, we have a much broader base to start with our new MFA platform," he said. The Mercedes MFA (modular front wheel architecture) is used by Mercedes to underpin cars such as the A- and B-class models and the CLA. Infiniti will use the platform for its new Q30 compact car. Zetsche said Daimler also would be open to sharing factory capacity with Renault-Nissan for compact cars, if an opportunity arose. "Mid-term or long-term -- based on further ideas for this segment -- we think that an addition of capacity is very likely, most likely necessary. 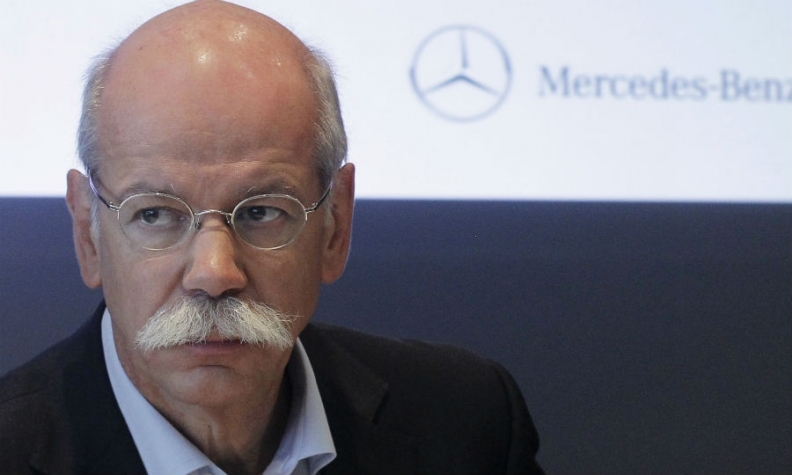 And then there is the discussion where to locate that," Zetsche said. He said North America was a possibility. Zetsche was speaking at an event in Munich to launch the Mercedes V-class van in Munich. He also reiterated that Daimler is open to cooperating with Tesla. "Their project leader was a former member of our team, so we have a lot of very good links, a very constructive good relationship, which certainly has room for further expansion," Zetsche said. Zetsche said Daimler also would be open to sharing its GL offroader platform with Aston Martin. That would depend on Aston's product plans, he said.